After two years of visits to Pioneer Ridge Middle School in Minnesota, learning by reading and doing, and allowing individual teachers to implement personalized learning, our school is ‘all in’. Over the past two years, our building has had numerous staff pivot in their mindset on instruction, student voice/choice and learning spaces. It has been refreshing to see people revitalize their passion for teaching. To start 2016, I mentioned we are ‘all in’. What does this mean? We are implementing a model of instruction with ELA, Science and Social Studies dovetailing their standards to personalize learning for a group of our sixth grade students. During each school day they have a block of time where the environment is personalized for them. Before school began, these three teachers through out their curriculum and are now building it…together! I believe there will be great power in this collaboration. But we also have several teachers who are implementing personalized learning on an individual basis, which also has a power to it. 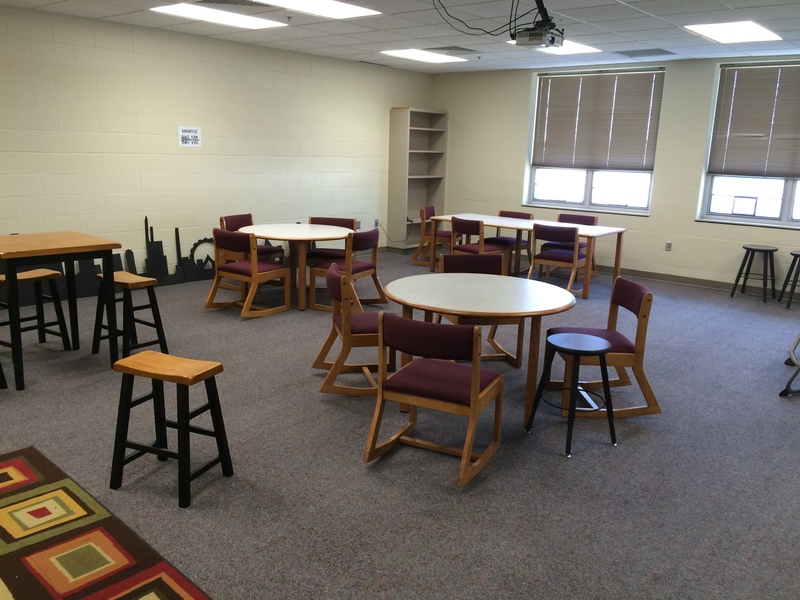 One area we could plan before students arrived involved learning spaces. In sixth grade each of the three teachers moved their teacher desk to one room, which created a shared office. 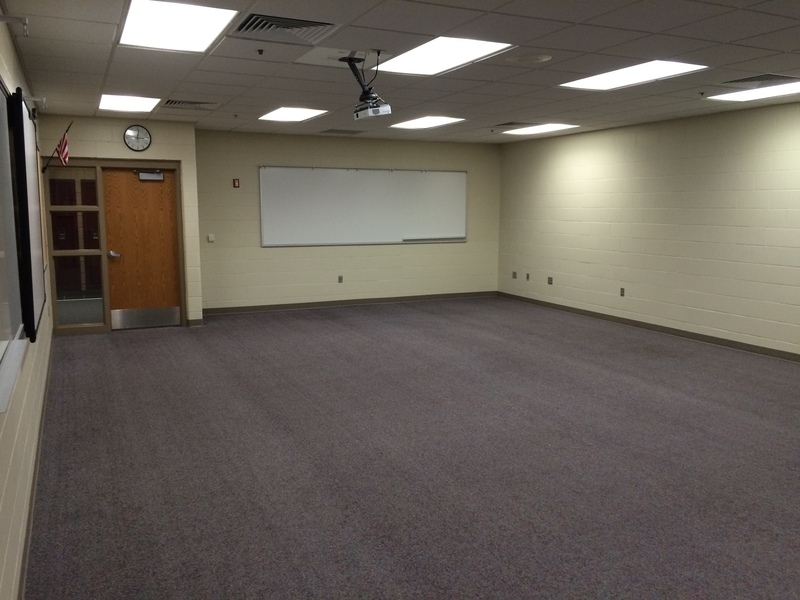 Next, we renamed each classroom with a color and called them studios. This was based on advice from Mary Perrine in Minnesota. Through this whole process, we have come to believe in her work and advice. Studios now reflect the learning that will take place in the space. They will reflect the amount of collaboration and style of instruction instruction required for learning. As noted in the picture above, the open space is the beginning of a learner’s day. In this studio they have a choice of what they learn and when they learn it. The organizational piece is a software called Kairos; I will discuss it in another blog post. The software allows them choose voice and choice, while providing us the knowledge which studios have particular learners. Each of these learning environments will challenge the learners to make choices related to their progress. How they advocate for their learning will be important. Isn’t this what we want for our kiddos? To be able to speak of your need and control a path has great power for future learning. These spaces didn’t stay empty for long. They have been occupied for just over a week, and there are great stories happening already. 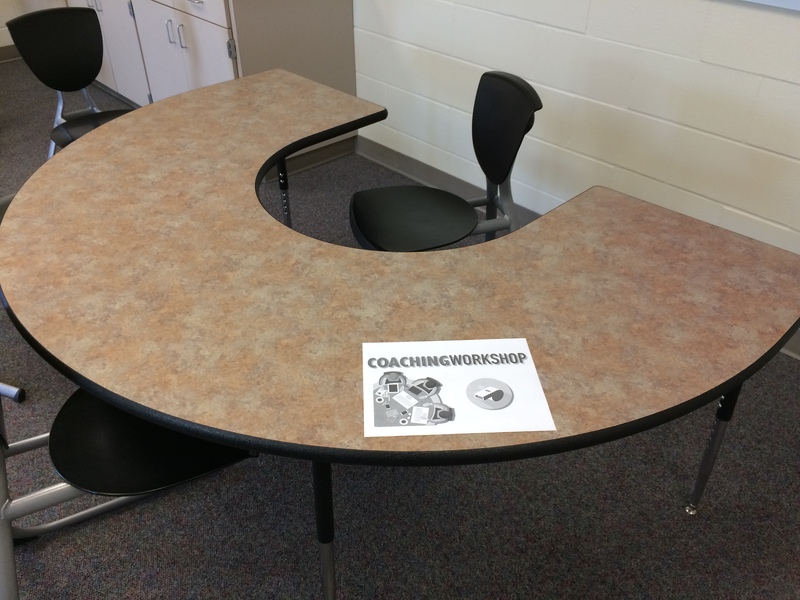 This entry was posted in Uncategorized and tagged Kairos, Mary Perrine, personalize learning, personalized learning on September 6, 2016 by darrenellwein.